First BISEPS solar project has been realised! WVI and POM are currently unburdening 26 companies in their ambition to install solar panels. These companies are offered a technical-economic feasibility study by the appointed consultant Antea, in cooperation with Beauvent. Not only the consumption of the company, but also the potential interest in electrical vehicles is being mapped. The PV option is also compared to the alternative of a CHP plant. In case in the feasibility study indicates rendability of solar panels for the involved company, quotes are collected. The consultant will compare and rank the quotes. 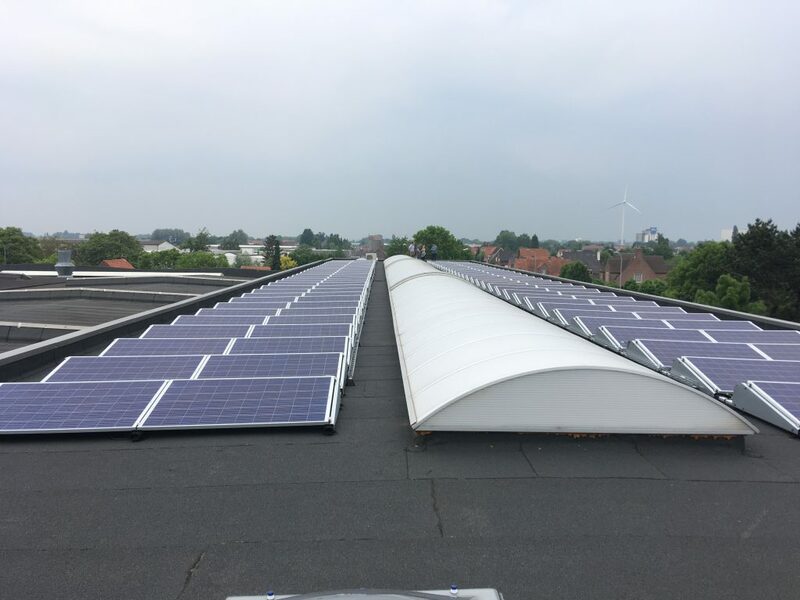 As a result the first solar project has been realized with Handsaeme Machinery in Izegem which has installed 150 kW of PV.